The Latin Chamber of Commerce (LCC) is hosting a business expo to provide local small businesses with educational and networking opportunities, so they can learn how to work with government organizations and private sector contractors. Community partners show their appreciation of hardworking contractors and industry employees at active construction sites in the valley. The Regional Transportation Commission of Southern Nevada (RTC) and Nevada Department of Transportation (NDOT) will provide local reporters with a progress tour of Nevada’s 15-mile portion of Interstate 11, which is currently in the midst of construction. For details, visit the RTC website. Drivers can expect significant delays along U.S. 95 now through the end of the year as the freeway is reduced down to two lanes in each direction between Rancho Drive and the Spaghetti Bowl. The restrictions will be in place so construction crews can continue widening I-15 from the Spaghetti Bowl to Sahara Avenue. The U.S. highway 95 northbound exit ramp to Rancho Drive will be closed for approximately 90 days. In order to lessen the impact of the closures, NDOT is endorsing “zipper merging,” where cars take turns merging into one lane. The concept is designed to keep drivers from slowing down and merging too early, which leaves a long strip of unused pavement. Learn more about the “Big Squeeze” and the zipper merge. When it comes to coordinating roadway improvement projects, it’s not always about the freeways and major arterials. Neighborhood rehabilitation projects – repaving streets and repairing curbs and sidewalks – occur throughout the valley but pose different challenges. 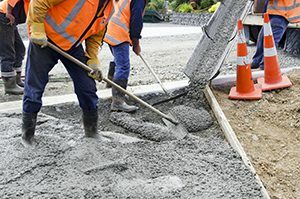 Due to the nature of the work, neighborhood streets require a keen focus on coordination and effective communication between residents and contractors. A neighborhood in Spring Valley off of Rainbow Boulevard, built in the mid-1970s, recently saw much-needed street upgrades involving digging out decades-old pavement and repaving. This project also included curb and sidewalk repairs. The high intensity of this project made effective coordination a major focus. Informational fliers were placed door-to-door on every street in the neighborhood and sometimes distributed in person. Matthew Beouchan, a 25-year resident of the neighborhood, appreciated the efforts and results. Regardless of the size of the project, coordination and communication are as critical as the results. Rainbow Boulevard is currently reduced to one lane in each direction between Hacienda Avenue and Sunset Road from 9 p.m. to 5 a.m. Sunday through Thursday nights until mid-June. The lane closures are necessary to complete a repaving project in that area. When finished, Rainbow will have three traffic lanes in each direction between Hacienda and Sunset. Currently, most of Rainbow in this area has two lanes in each direction. The City of Henderson has begun constructing Starr Avenue between St. Rose Parkway and Las Vegas Boulevard. This new road is scheduled to be completed by December 2018. Work is currently underway as a part of a Clark County rehabilitation project, which includes widening the roadway on Topaz Street from Seasons Avenue past Cooper Cove Drive. The project includes bringing the sidewalks up to American with Disabilities Act (ADA) standards. Work is expected to be completed by April 2017. 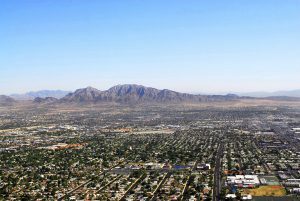 The City of Henderson will begin work on a roadway improvements project that includes repaving on Valle Verde Drive from Horizon Ridge Parkway to Warm Springs Road. This project is expected to begin in April and scheduled to be completed by September 2017. 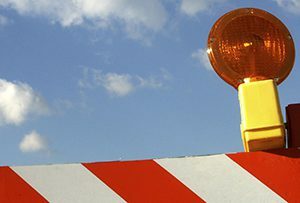 The Nevada Department of Transportation (NDOT) will begin work on a roadway project that includes median island construction, sidewalk removal and bicycle/pedestrian safety improvements. Work is expected to begin this summer. 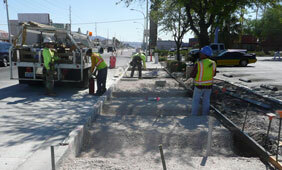 The City of Las Vegas will begin work on a storm drain improvements project from Floyd Lamb Park to Durango Drive. This project also includes trail improvements and is expected to begin this month.